SIZZLING SUMMER PROMO. THE ONE YOU'VE BEEN WAITING FOR. 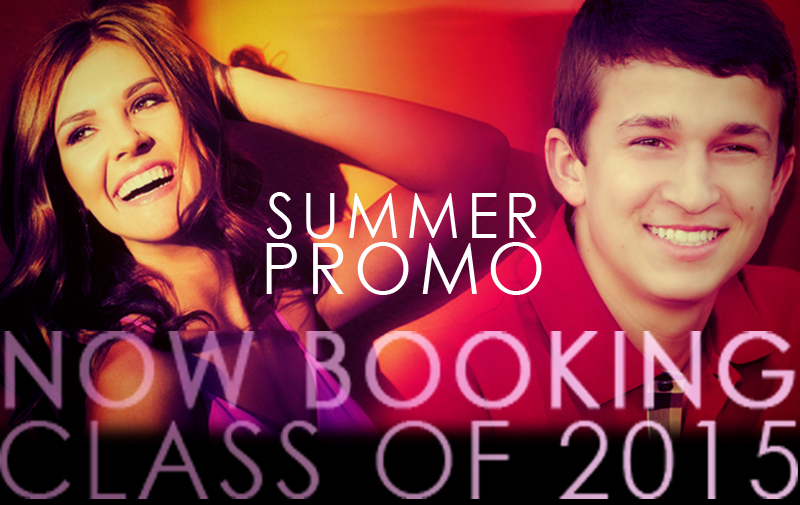 Post this offer to your Facebook page and receive a FREE Facebook/Instagram photo from your session! You must pre-purchase the Casual Collection at booking to receive the free senior ad design and free session fee offers. This collection includes: 1 20x20 Art Piece, reprints & graduation announcements 15% OFF retail pricing! Set up your session AS EARLY AS POSSIBLE - Availability disappears very quickly! with the purchase of the Casual Collection. Confused? Don't try to figure it out... just give us a quick call! 480.607.1688 Click here to view a complete breakdown of our retail session pricing. Class of 2015 Parents, BEWARE! Check your school's senior ad deadlines for EARLY BIRD DISCOUNTS. Senior ad deadlines will creep up on you much sooner than you think! Each school is very different with their deadlines, so please check with your school to find out deadlines so you can make sure you book your session with plenty of time for designing your ad. Please let us lighten your load by coaching you through senior year deadlines with senior ads, graduation announcements and more. By choosing Captured Moments by Rita & Company, you will surely be making the most of your senior portrait investment. We think of the little things that often get overlooked, and we just want you to rely on us and our expertise while having an unforgettable experience with us! 2014 Senior Ads - Congratulations to all of our graduating seniors!